The word Lalung means ‘land of God’ and the village is located at the foot of the Tangmar Mountains which supposedly transforms in colour depending on the mood of the deities. Red denotes anger while yellow signifies happiness. 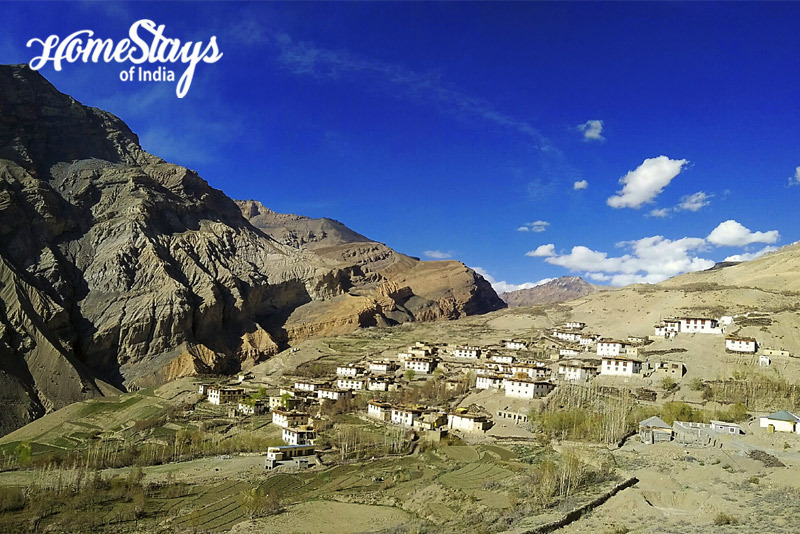 Lalung is known for hospitable local families and is home to one of the oldest gompas in Spiti Valley. The Sarkhang gompa or the Golden Temple is said to be 1017 year old. Lying at an altitude of 3680 metres, Lalung today has 570 inhabitants and is the only major village in the Lingti valley. A road from Lingti via Rama can take you to Lalung (total 10km). First 2 km is good, rest is very rough. But it’s a beautiful ride from Shichling to Dhankar (7Km) and from Dhankar to Lalung (12Km). 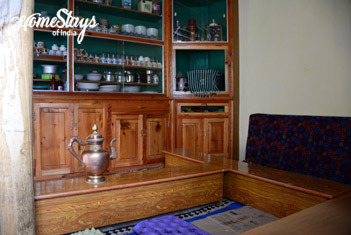 This traditional Spitian style (mud house) was built by Tashi Gatuk in 1980. 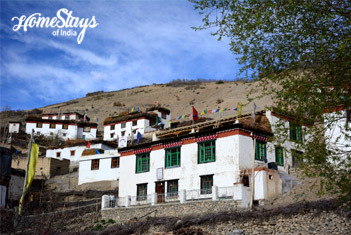 Sitauted hardly 350 mtr from Sarkhang gompa, it gives a great view of Lingti Valley. 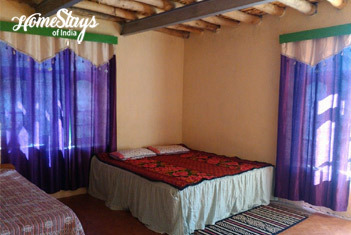 There are total 3 rooms provided to guests, one is 3 bedded others are double bedded room. Food is served by the local kitchen. There is a traditional low floor setting dining hall to eat. 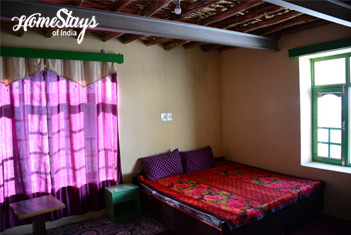 Like most of traditional Spitian home stays it has has only common toilets, one is western another is local style. Tashi is one of the most respected person in the village. He is basically a farmer, a very friendly person, an experienced guide & trekker and he is very handy with English. His wife Dolma is a very descent and funny lady. Tashi help his wife Dolma in cooking. They make Spitian bread and serve with Jam, butter and tea. You may also ask for Tsampa (barley floor) pan cake with honey. Parantha with curd or tea is mostly liked by Indians. Dinner can be Skew (local dish made of fried potatoes and Dumpling), Thentuk (flat noodles mixed with vegetables), Momos and North Indian food.